"What do I think about their relationship now? I think they proved me wrong, which is the best thing possible," the Season 20 The Bachelor star told Us Weekly. "I watched [Colton's season] as a fan and as a viewer, and when I saw the breakup, I was like, 'This doesn't feel right. It doesn't seem right. She's obviously not that into him. She's telling him she wants to go home.'" Before the finale of Colton's season aired in March, Ben talked to Entertainment Tonight about how Cassie handled her breakup with Colton in Portugal poorly. Ben slammed Cassie, saying she should have been more direct with Colton about where she stood. "I think she should have did something different with Colton. It's very clear that she was not into him," Ben told ET at the time. "As much as she maybe felt the pressure to still be there and just still try to make this work... I think all she wanted to tell him was, 'You're a great guy... but I'm just not that into you and as a result, I need to leave.'" "It felt like she was kind of dancing around the subject, going, 'This is too fast, this isn't right for me, I just don't know.' She knew." 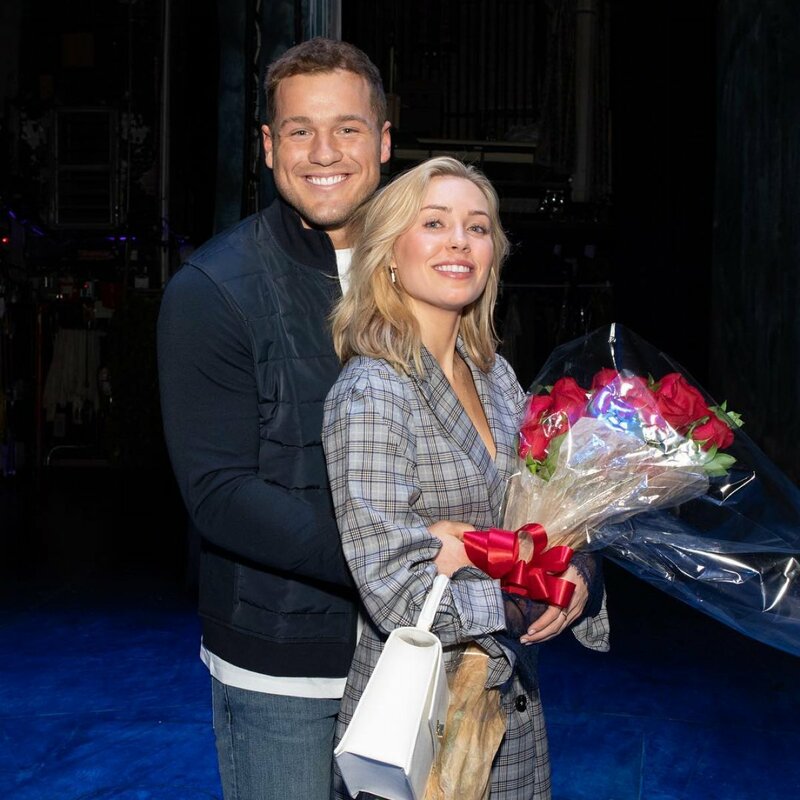 Ben also told ET ahead of the finale of Cassie, "If she would have just told Colton, 'This isn't going to work, like, we're not meant for each other,' then Colton just has to say goodbye." However, Colton convinced Cassie to stay in the finale and continue dating him while taking the topic of an engagement off the table. Once Cassie decided to give Colton a chance, she met his family in Spain and then slowly fell in love with him in the real world. Now, Ben is eating his hat, admitting he didn't picture the couple's relationship would take such a dramatic turn. "For them to come back together and build this relationship that now is existing to this day... I'm excited for them," Ben told Us. "I'm happy for them. I'm glad they proved me wrong. I know that Colton is head over heels for her, and she is for him, so I'm wishing them obviously the best." Ben added, "Yes, maybe it wasn't the traditional way that relationships typically play out, but it doesn't change the cool complexity that exists in their relationship that will hopefully be a story that they can tell forever." Cassie, an assistant speech pathologist from Huntington Beach, CA, blindsided and dumped Colton right before their overnight Fantasy Suite date in Portugal. Colton was seemingly expecting to lose his virginity to Cassie that night, telling the cameras, "I can definitely see us working forever. I feel like my whole life has been leading to tonight because I love Cassie. I want to be with Cassie. My heart is complete when I think of Cassie." But Cassie wasn't quite there with Colton. While she admitted she wasn't "in love" with the charity founder and former pro football player, she expressed confusion over her decision and repeated, "I don't know," multiple times. Cassie was seconds away from quitting the competition and heading back to California, but Colton's desperate plea convinced her to stay. Once the finale aired and the world learned Cassie and Colton are an item now -- and in love with each other -- Ben took to Twitter and wrote a congratulatory message to the pair. "Love isn't simple but it's worth it!" Ben wrote. "Congrats @CassieRandolph and @colton!" As for Ben, he is now wrapped up in a love story of his own with new girlfriend Jessica Clarke, whom he's clearly smitten with. Ben was previously engaged to Lauren Bushnell, who won Season 20 of The Bachelor in 2016, but the couple called it quits on their relationship a little over one year later.